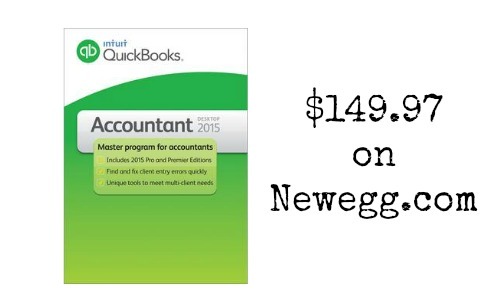 If you’re looking for a fast and effiecient way to manage your finances on your own, you can get Intuit Quickbooks for 50% off on Newegg! Use the coupon code EMCANKT28 to get it as low as $149.97 (regularly $299.95). These select Intuit Quickbooks come in a couple different packages, physical copies and downloads, and enable you to organize your finances on your computer. There also a couple versions for Mac systems. Most of these Quickbooks come with FREE shipping. This deal ends 2/17 at midnight.